F2200 reciprocation pump with three single functional cylinders chooses optimum parameters, increases the stroke properly, and reasonably reduces the number of punchings to improve the the pump suction property and to prolong the life of quick-wear parts. This pump has been widely used in oil fields, other industrial and mining enterprises, well drilling, well repair, liquid medium transport in long distances, multi-well water flooding pump station, polymer injection and other operations. This pump series carries out production as per the APISPEC7K Code on Well Drilling and Well Repair and carries out factory test as per the standard. The JZ-F2200 reciprocation pump with three single functional cylinders chooses optimum parameters, increases the stroke properly, and reasonably reduces the number of punchings to improve the the pump suction property and to prolong the life of quick-wear parts. 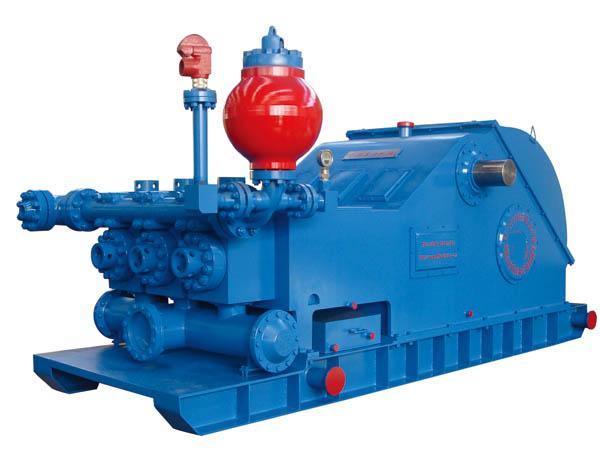 This pump has been widely used in oil fields, other industrial and mining enterprises, well drilling, well repair, liquid medium transport in long distances, multi-well water flooding pump station, polymer injection and other operations.